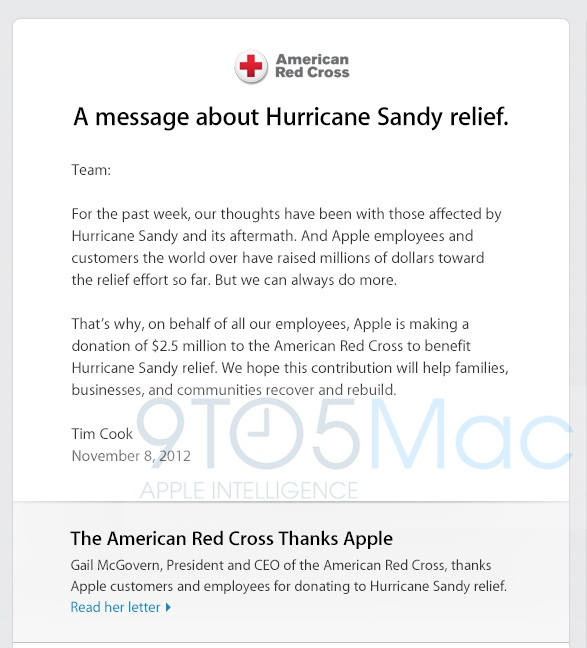 Apple will donate $2.5 million to victims of Hurricane Sandy, according to an internal memo obtained by 9to5Mac. The charitable gift comes on top of untold millions raised by Apple customers for the American Red Cross through a special page on iTunes. Apple originally launched the Hurricane Sandy relief page in iTunes on November 1, just days after the storm decimated communities up the East Coast, including towns and cities in New Jersey, New York, and Connecticut. Apple iTunes customers can give amounts ranging from $5 to $200 through the page. 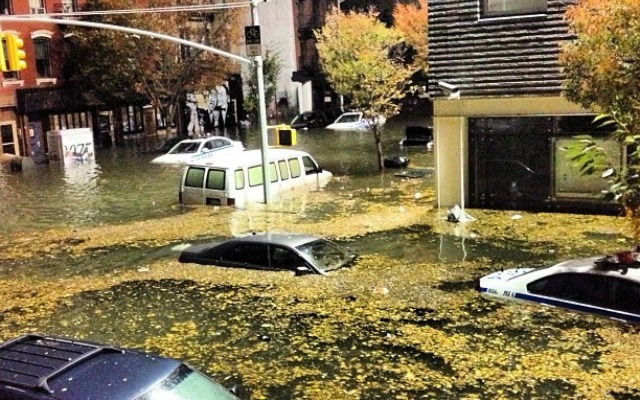 Sandy is said to be the second most-costly hurricane in U.S. history, after 2005’s Hurricane Katrina. Eleven days after Sandy made landfall, around 265,000 homes in New Jersey, and more than 168,000 in Long Island remain without electricity. An untold number of people are displaced or homeless because of the storm. News of Apple’s donation follows a joint project between Silicon Valley vacation rental starup Airbnb and the New York City Mayor’s Office, which are urging Airbnb hosts (or anyone with a bit of extra room) to lend out their space to displaced Sandy victims for free. As of this writing, more than 530 hosts have signed up for the effort. Apple’s charitable giving has increased under CEO Tim Cook. In February, Cook revealed that the company had given a total of about $150 million to charity, a large number, but a small fraction of the electronic giant’s approximately $117 billion in cash it had on hand, as of this summer. Do gamers really want unbiased reviews?